1. Use a stud finder to locate the joists within the ceiling. Mark the joists with a chalk line. 2. Using the chalk lines as a guide, install the isoTRAX™ Soundproofing System onto the existing ceiling surface. 3. 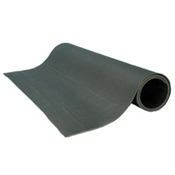 Install the Echo Absorber™ Acoustic Panels between the isoTRAX™ rails. 4. Install ½ inch Type X gypsum board on to the isoTRAX™ system with 1 ¼ inch fine thread drywall screws. Screws should be placed 8 inches apart. Leave a ¼ inch gap between the new layer of gypsum board and all adjoining wall, ceiling and floor surfaces. 5. 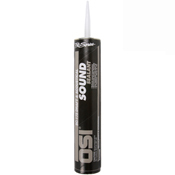 Fill the ¼ inch gap with OSI® Pro-Series® SC-175™ Acoustical Sound Sealant. 6. 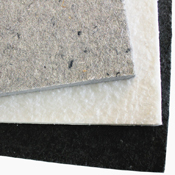 Finish the gypsum board using common industry standards. 2. Lay the ½ inch drywall face down on to a clean dry surface. Apply a ¼ inch bead PL Construction Adhesive around the perimeter of the backside of the drywall. Apply the adhesive approximately 2 inches from the edge of the drywall. Create an X pattern corner to corner and place a few 1 inch “globs” of glue with the field. 3. 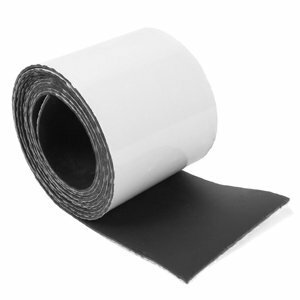 Place the Quiet Barrier® material onto the back side of the drywall. To ensure good contact with the adhesive, use a hand roller to apply pressure. Let the adhesive cure for 24 hours before installation. 4. 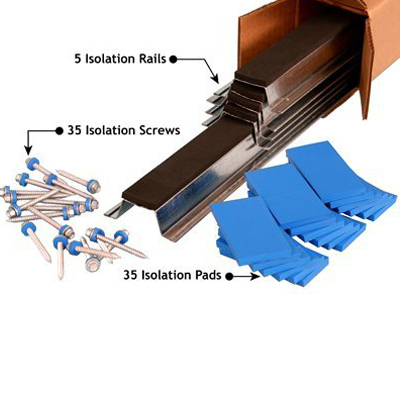 Attach the drywall / Quiet Barrier® composite with 2 inch coarse thread drywall screws. Be sure the screws penetrate the joists within the wall assembly. Screws should be placed 8 to 12 inches apart. 5. 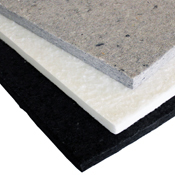 Leave a ¼ inch gap between the new layer of gypsum board and all adjoining wall, ceiling and floor surfaces.